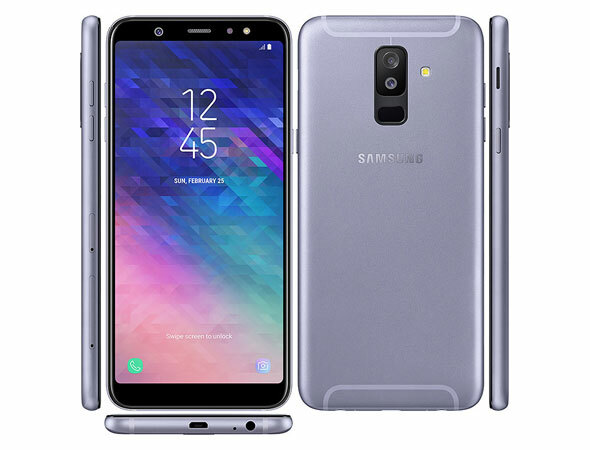 The Samsung Galaxy A6 Plus (2018) is equipped with 1.8GHz octa-core Qualcomm SDM450 Snapdragon 450 processor. The phone comes with 3/4 GB high-speed memory and 32/64 GB internal memory which can be expanded up to 256 GB via microSD. The Galaxy A6 Plus runs Android 8.0 (Oreo) and the price is 370 EUR. It packs a non-removable Li-Ion 3500 mAh battery. The Galaxy A6 Plus boasts off 16/5 megapixels dual rear camera with LED flash, and phase detection autofocus. The smartphone has a 24-megapixel front camera with LED flash for selfies and video calling. It is a single and dual nano-sim smartphone (dual stand-by). The smartphone comes in four colors (Black, Gold, Blue, Lavender). It has a 6.0-inch touchscreen display. The phone’s screen resolution is 1080 x 2220 pixels at a PPI and 18.5:9 ratio. The phone supports connectivity options include Wi-Fi, GPS, Bluetooth, NFC, USB OTG, 3G, and 4G. The smartphone dimensions 6.31 x 2.98 x 0.31 inch.